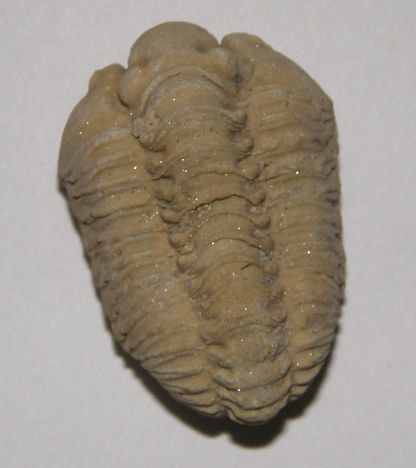 Trilobite (Calymene celebra); photo by Jim Brace-Thompson / American Federation of Mineralogical Societies (all rights reserved; used by permission). Like modern arthropods, they had to periodically molt their shells to grow, so one trilobite could have left a dozen or more shed carapaces to fossilize. An exceptionally well-preserved trilobite with antennæ and legs - photo by Smith609 on Wikipedia - published under terms of the GNU Free Documentation license version 1.2 or later. 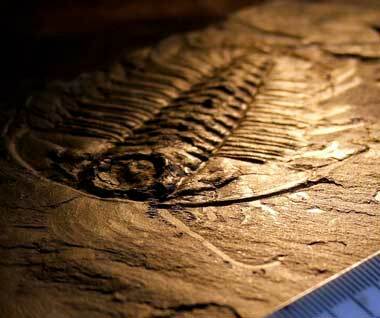 See All State Fossils & Dinosaurs.